Seeing as how I haven't been up to anything crazy and exciting these past couple of days I thought I'd make a quick post and share four of the things that have made me extra happy lately. (Pictures taken from my Instagram. Follow me @kiimberk) I hope you enjoy! (1) Comfy, too-big-for-you sweaters. 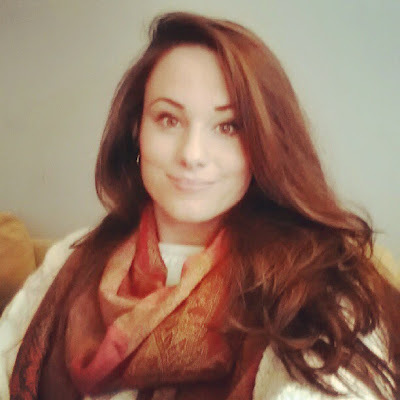 Fall is my absolute favorite time of year; I love when the temperature drops and I have to take my sweaters, boots, and scarves out of storage. I love that bundled up feeling I get by just throwing on a big comfy sweater with a pretty scarf, a pair of leggings and my boots. (2) Pretty leaves; everywhere. 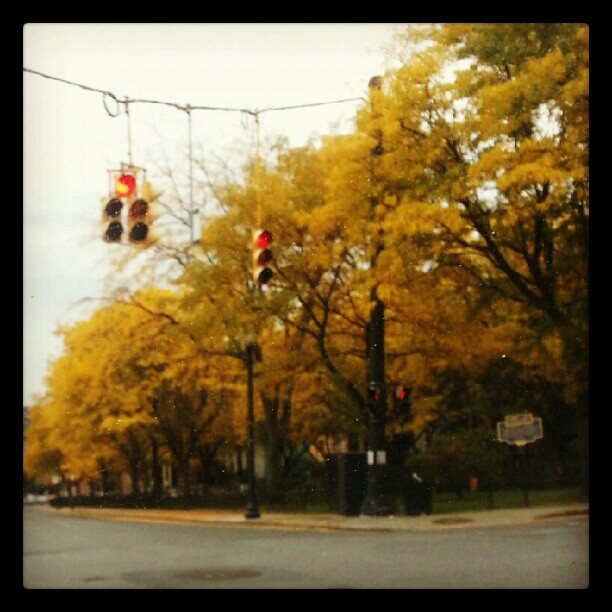 Driving through town and seeing these beautiful colors in every direction always puts a smile on my face! (3) Cuddle sessions with my pup! 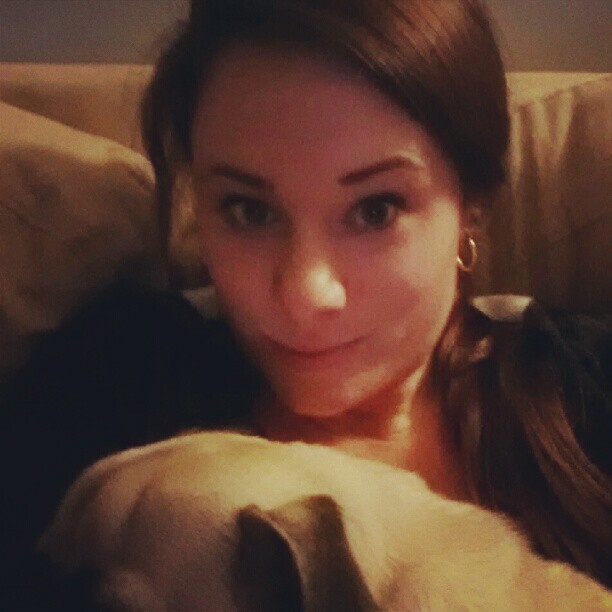 I thoroughly enjoy a relaxing evening at home, cuddled up on the couch, with my pug, fast asleep on my lap. Best feeling ever! 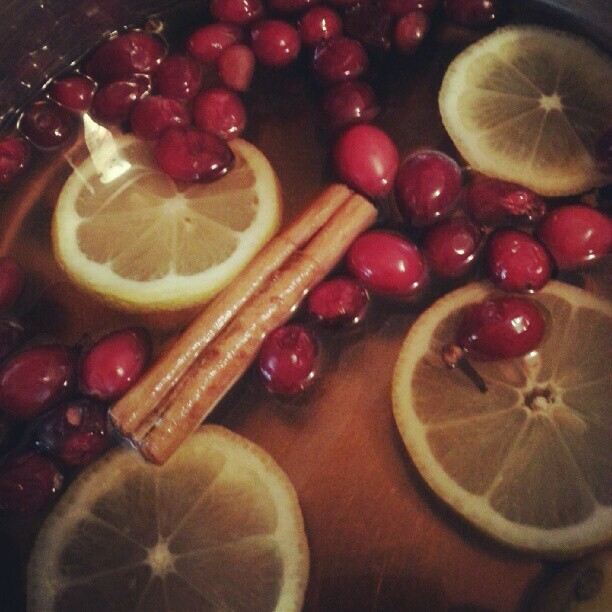 (4) Homemade potpourri. On cold days, like today, I like to make a stove-top potpourri. It makes the house smell amazing and it keeps me looking forward to all of the holidays ahead! Simmer on low and add more water when necessary. What are some of your 'make me happy' favorites? !